It's a good thing fishing in Crystal Springs Reservoir is banned, because the bass fish there are apparently loaded with poisonous methyl mercury. A survey of mercury and other toxin levels in fish across 300 California lakes found that the bass in a reservoir which serves San Francisco had some of the highest levels in the state. Predatory fish, like bass, concentrate the poisonous methyl mercury as it works its way up the food chain from bacteria. The source of the contamination remains a mystery -- mercury was mined in the Bay Area to help in the smelting of gold, and mercury could be carried by the jet stream from China, where the metal is produced in quantity as a byproduct of burning coal. All told, 21 percent of lakes popular with anglers had sportfish which tested positive for methyl mercury levels considered dangerous for consumption by children or pregnant women. 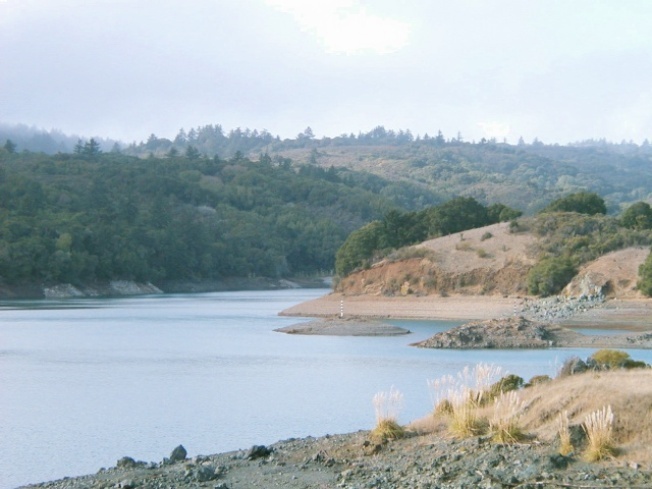 The Lower Crystal Springs Reservoir that serves water to San Francisco has been off-limits to fishermen, and the methyl mercury levels in the water doesn't pose a problem for human consumption, according to the San Francisco Public Utilities Commission. Jackson West drinks tap water for the fluoride because he can't afford dental insurance.